I still keep reading and hearing about people looking for the cheapest possible web hosting they can for dolphin. Quite often I read about people searching for free hosting for some reason. Now I don't absolutely hate free or cheap hosts, but generally you do get what you pay for in most situations. Some people seem to imply that they just want to try dolphin out at a free host to see how it works and check it out. The problem with that is many of the cheap or free hosts are not setup for dolphin. What can happen even if you do manage to get dolphin installed at a free or cheap host is, dolphin features, modules, or errors appear. Usually because the server is not configured or setup for dolphin. So the test drive you were hoping for with dolphin doesn't paint a very pretty picture. 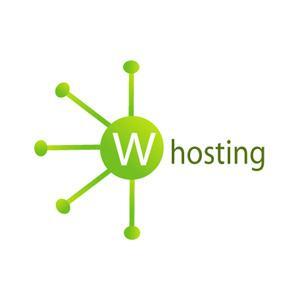 Most decent hosting companies have a 30 day money back guarantee. You could easily install and test out dolphin for 30 full days, and if you were not happy, couldn't figure it out, or whatever...Just cancel your hosting account before the money back guarantee time period expires. Some of the huge national or global hosts with the really cheap prices are attractive, but most of them I tend to avoid using for dolphin. Another thing about the huge hosting companies is they have tons of support tickets to deal with at any given time. These big guys can take 4 to 24 hours just to respond to your support ticket or question. If you reply back to it, then expect another 4 to 24 hours for a follow-up response. If you are submitting a support ticket you really need to be specific and detailed if you want your problem resolved in a timely manner. Which I don't think a timely manner actually exists at some of these companies, but that is another story. You need to provide your account details and info. Define your problem or issue in a very easy to understand, but detailed manner. If possible tell them if scenario A - do this, if scenario B - do this, etc. Otherwise, you are going to be emailing back and forth for many hours or even days for something that can be resolved at a smaller host in a matter of minutes. That's just the way it is with the big hosts. They have so many customers that their support department just can't keep up with them as fast as a small to medium company could. I don't know that there is a perfect host out there. I personally just have better luck, and a much more pleasant experience with small to medium hosts. There is probably a few satisfactory freebies out there somewhere. I just don't know if the quality is adequate to run and maintain a decent dolphin site.